I have been a full time professional realtor for 29 years. Vancouver has changed a great deal over the past 29 years; I have been working with sellers and buyers every step of the way. I know my years of experience are an extremely valuable asset to those who hire me. I have worked through all types of market conditions, have been involved in the evolution of types of construction and have built a vast network of resources and tools to facilitate successful transactions. Today a real estate agent must be knowledgeable in many different aspects of the business in order to truly take care of his/her clients in both selling and buying real estate. If you are thinking of selling or buying or even if you only have a few questions, please contact me. I believe in a relaxed and informative approach and I am always happy to hear from you. “you could not ask for a more knowledgeable, ethical and committed realtor to work with”. Trustworthy, integrity, knowledge & results are what comes to mind regarding Don Urquhart. I have been a long-time client of Don’s and couldn’t imagine buying or selling any of my properties with another Realtor. Because of his extensive knowledge & experience, I credit him with helping me achieve my property ownership goals. He has strongly advised me not to buy some dubious properties (thank goodness I listened!) & has secured some great ones for me in a competing offer situation. Every time I have recommended him to a friend, they have thanked me profusely & have always mentioned how professional Don is & how he made the whole process as stress free as possible. Don is a Realtor who puts his clients first & the bonus is that he also happens to be an overall great guy. We searched for a property in Vancouver while living in Denver, Colorado, making sporadic trips up to Vancouver when something was suggested by Don Urquhart. We had a very specific list of must haves. Don understood quickly what our priorities and sensibilities were. Don has an extensive knowledge of the Vancouver real estate market and we were confident from the start that we had found the right realtor. We have purchased a number of properties in the past but have never had an agent who came close to Don. He exceeded all our expectations. You could not ask for a more knowledgeable, ethical, committed realtor to work with, never directing us to a property that didn’t have the highest quality of construction, something we never realized varied to the degree that Don would point out. We would not purchase real estate in Vancouver with any other than Don Urquhart. Don exceeded our expectations on every level of our real estate transaction. We used Don to sell our condo in Mount Pleasant and in the purchase of our new house. Don was professional, down to earth, extremely knowledgeable and was always available to us throughout the entire process. 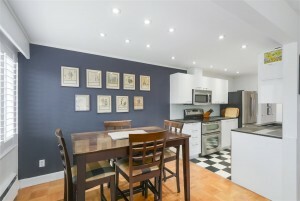 This was our first time selling a property in Vancouver and Don's guidance and knowledge was a valuable asset. Don took the time to listen and understand what was important to us with the respect to the selling of our condo and what we were ultimately wanting for the purchase of our next new house. 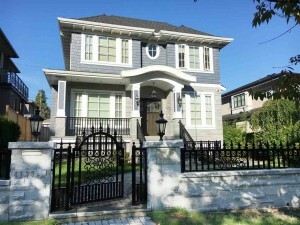 His years of experience in the Vancouver market in addition to his relaxed and professional approach gave us 100% confidence that we had chosen the right realtor. Please read what my clients say about me. The process of selling a property today in the Vancouver requires a current and professional outline. Please allow me the opportunity to show you what we can do together. I believe that purchasing a home should be an enjoyable, relaxed and informative experience. I believe in strong and safe communities and the importance of giving back.